Travel management is a highly specialised business function, and is one of the hardest cost areas to control in a corporation because of its highly fragmented nature; requiring expertise across many sub-categories, geographies and being subjected to the taste and preferences of the business traveler. In most cases, when business confidence takes a hit, one of the first things that corporations do is to cut the travel budget. On this note, and in view of the recent economic downturn, monitoring and analysing travel expenditures has never been more crucial. Any organisation, regardless of size, should be realising cost-cutting opportunities in their corporate travel processes in order to reduce travel waste and extract maximum value. According to a 2015 GBTA survey of corporate travel managers, hotel chain loyalty programmes play a primary role in encouraging corporate travel policy compliance, particularly if travellers are allowed to retain the accumulated points or rewards earned through business travel for their personal use. While the primary goal of loyalty programs is to incentivise employees to book through authorised channels and be brand-loyal, they are inevitably urged to think about the implications of booking outside of loyalty programmes. Incentives like these are well-founded, and are at the forefront of the fight against corporate travel policy leakage – travel bookings made outside of Travel Management Companies (TMC) channels. In Singapore, this concern is particularly jarring given the country’s competitiveness on the MICE front. 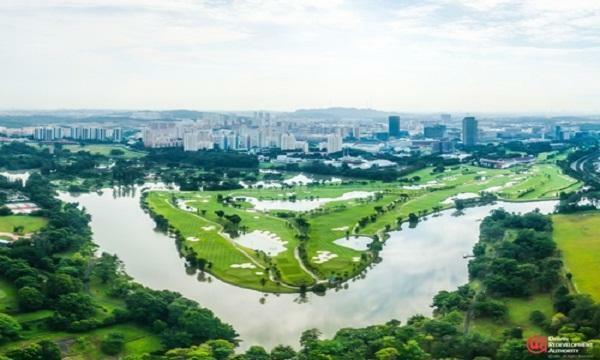 In April this year, the Singapore Tourism Board (STB) announced the extension of the In Singapore Incentives & Rewards (INSPIRE) programme beyond China and India to include corporate meeting and incentive travel groups from Europe and North America. The city-state’s strong destination attributes have also led her to welcome approximately 3 million BTMICE travellers in 2015, bringing in over $4.5 billion in BTMICE tourism receipts. For corporates sending employees to work in Singapore, such steep growth emphasizes the need for policy leakage to be properly addressed. Despite efforts to create the best possible travel program for business travellers, leakage is still experienced at one point or another. This not only deters corporates from achieving their key objective of minimising travel spend, but also amounts to significant costs in the long term. According to data by HRS, leakage is ranked as the most frustrating aspect of corporate hotel programmes for 26 percent of procurement professionals and 19 percent of travel managers. Starting with supplier relationships, corporates must ensure they make the most out of preferential rates and contractual obligations with chosen suppliers. Naturally, the ‘preferred’ supplier would look favorably on corporations that are able to demonstrate loyalty, and as a result, offer voluminous amounts of traveler data. Policy leakage thus negatively impacts the future negotiating position of TMCs, with hotels. Approved booking channels within the travel policy can be appealing to the traveler, with recommendations of hotels with the right facilities, in the right location, and at negotiated rates. In addition, specific profile information of the preferred channel (i.e. frequent flyer, special requirements, etc.) are made available only through exclusive supplier relationships. This adds value for the customer, who would otherwise have to sift through a glut of information in search of the best deal. Other strategic benefits include enhanced visibility and control over the employee’s travel safety, given that travel options served up by in-policy bookings often comply with certain security constraints. These benefits cut both ways; corporations are able to track their travelling employee at any one time and better fulfill their duty of care obligations, while employees have greater peace of mind when travelling to areas with a higher probability of catastrophic events. The spate of terror attacks around the world underscores the severity of terror threat facing Singapore, particularly with recent news around the foiled plot by Indonesian terror suspects to launch a rocket from Batam to Marina Bay Sands. On this note, corporations need to be more proactive about getting employees to comply with corporate travel policies. The breadth and depth of information provided by hotels can have a major impact on the conversion of searches to bookings, because that content enables bookers to make immediate decisions by removing the need to look elsewhere for a suitable match. For hotels available on HRS’ booking channel, which uses algorithms to match booker behaviour with bookable hotels most suited to them, content is the range of information provided on the channel. In other words, the better the content provided by the hotel, the more likely it is to be featured on the platform. According to HRS’ research, good content includes having room and advance booking availability, guests’ comments and reviews, professionally translated multi-language descriptions, and professional photos or videos that reflect the personality and features of a hotel and its different room types. Educating employees is another crucial part of increasing compliance. Corporates and travel managers need to proactively inform employees about the travel policy, how it affects them, its benefits both company-wide and on an individual level, and their responsibility in making it a success. Interestingly enough, certain countries have laws in place to endorse this. In Singapore, for instance, under the Workplace Safety and Health Act (WSHA), employers are expected to take all reasonably practicable measures to either control the risks involved or, at the very least, prepare their employees for potential risks when their employees are required to travel overseas for work. Kimi Jiang is Vice President of HRS in Asia Pacific. She is a seasoned professional with working experience in both hotel and online travel industries. Prior to joining HRS, she has worked with leading hospitality companies such as the Hyatt and Four Seasons in Paris, Tokyo, and Shanghai.